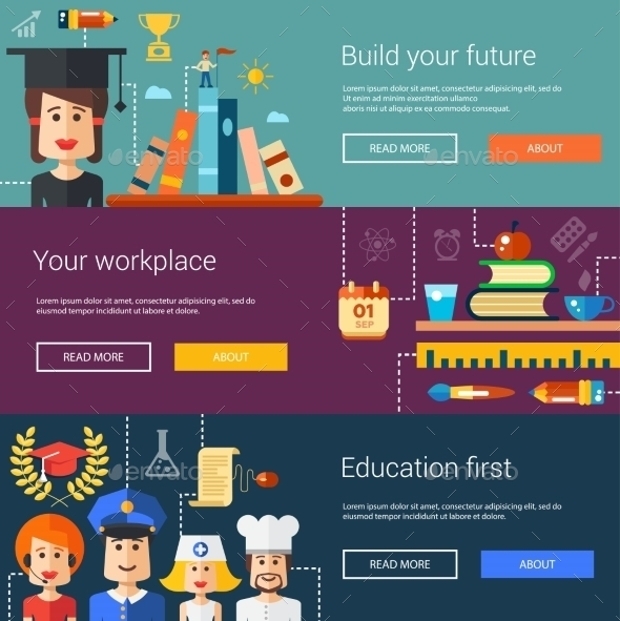 Using web advertising is a great way to attract more people to your business and gain profit from potential customers. 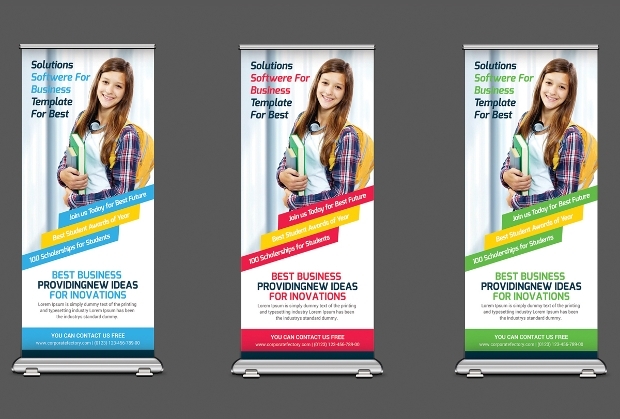 This can be achieved with education banners that are used to connect the potential clients with your business. 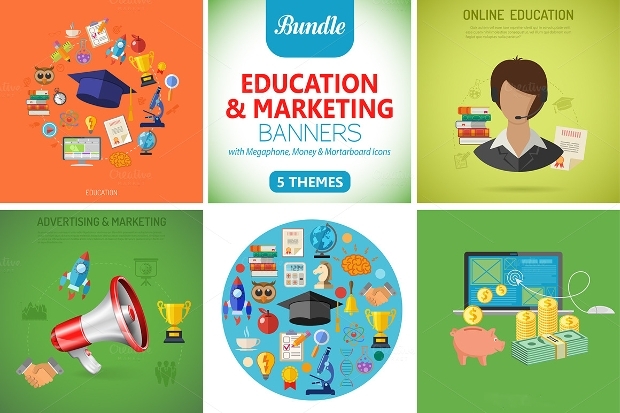 Today we are sharing with you a collection of educational banners designs that might help. 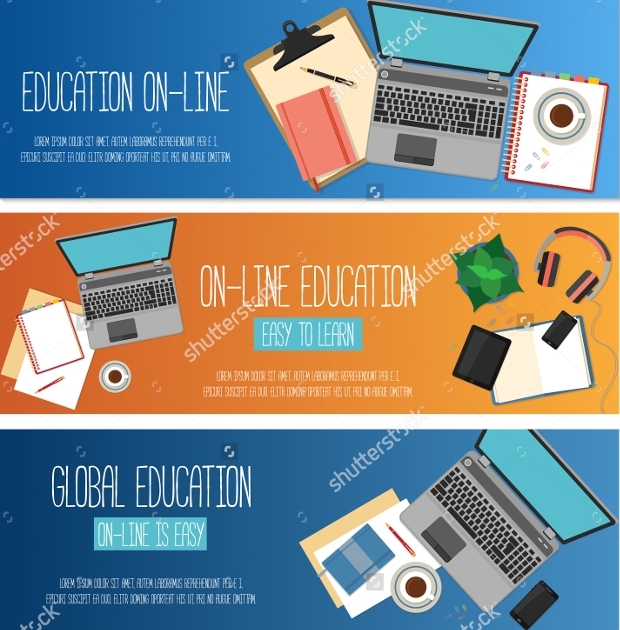 This is a great banner for distance learning and education programs. You can find it in JPG and EPS format files that you can adjust to your needs. 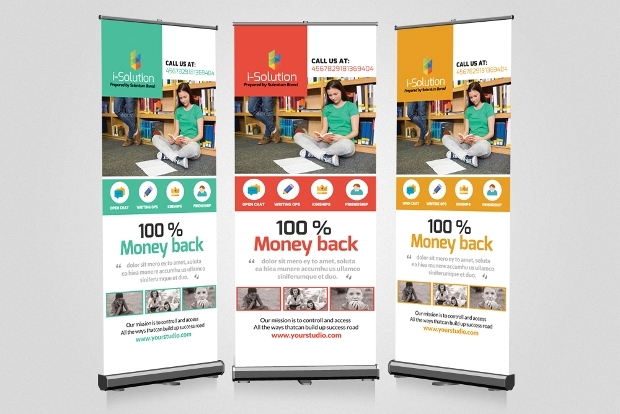 Showcase your creativity with these roll up banners. 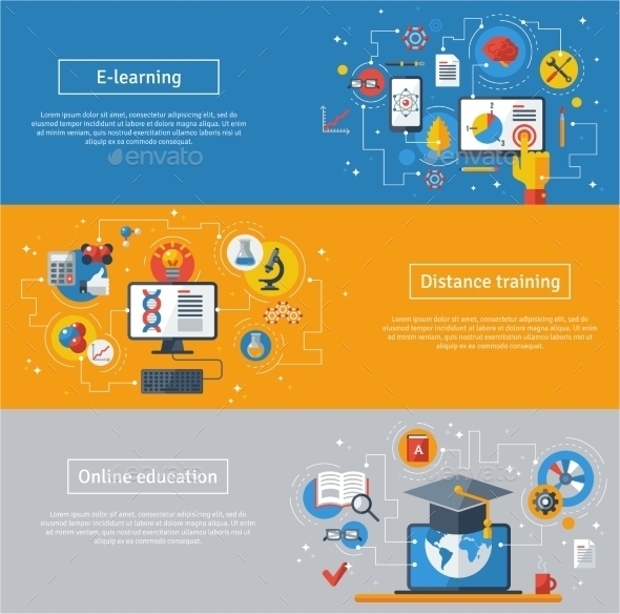 The package comes with two PSD files along with an instruction file to guide you through the process of editing. 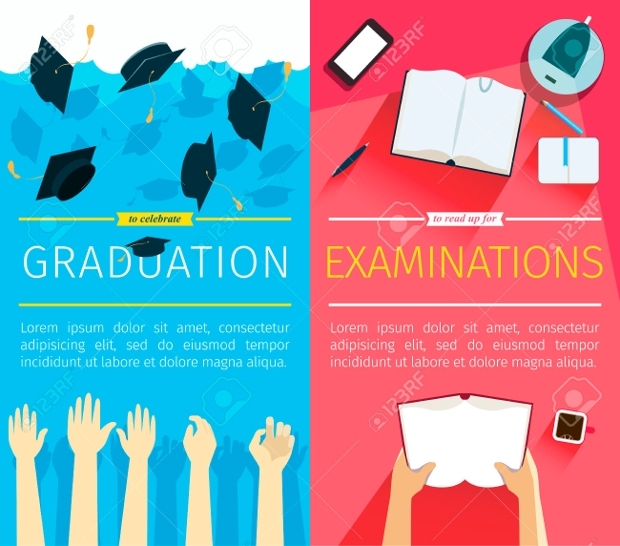 Use graduation pictures in your banners to accentuate the quality of your work. 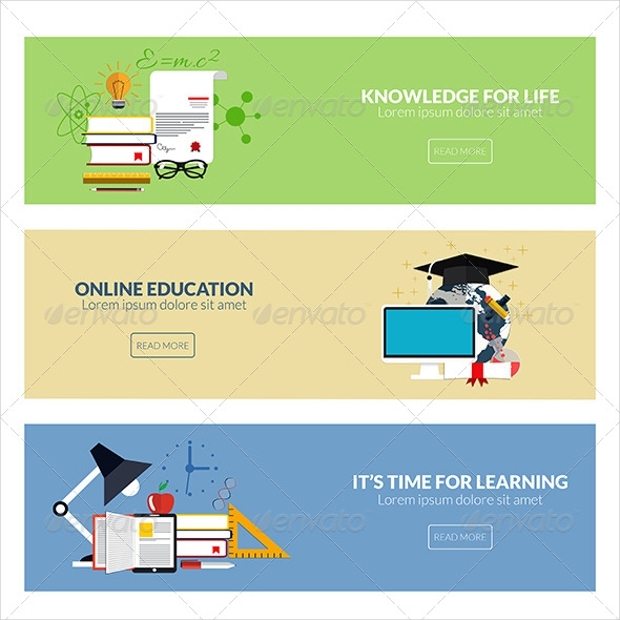 Like these remarkable education banners that you can find in JPG and EPS format files. 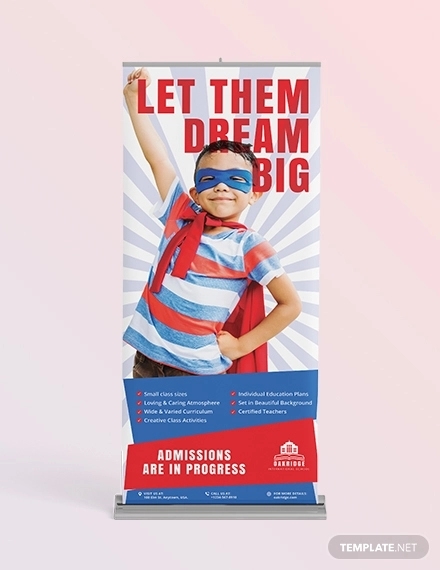 A multipurpose banner will help you achieve your business goals. 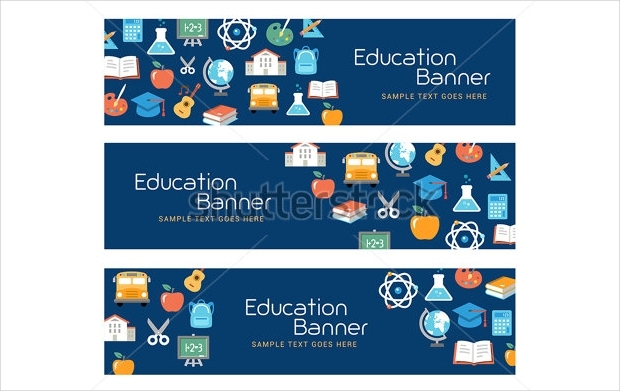 These colorful banners can be used for both school and college themes and they are available in JPG format files. 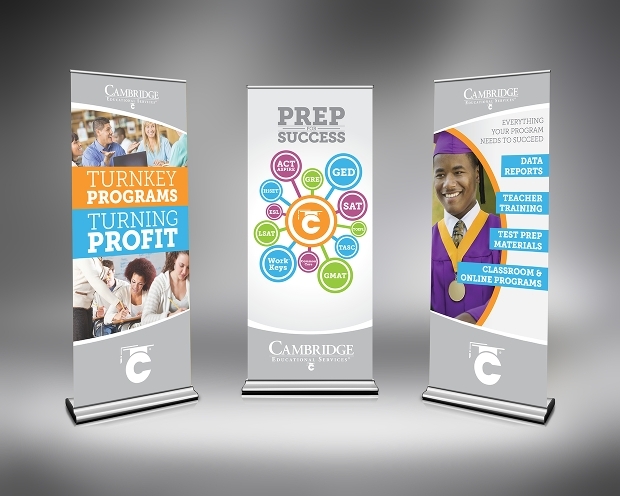 The sophisticated look of these banners is suitable for educational programs. They can be used for promotional purposes in social media and are available in JPG and EPS format files. 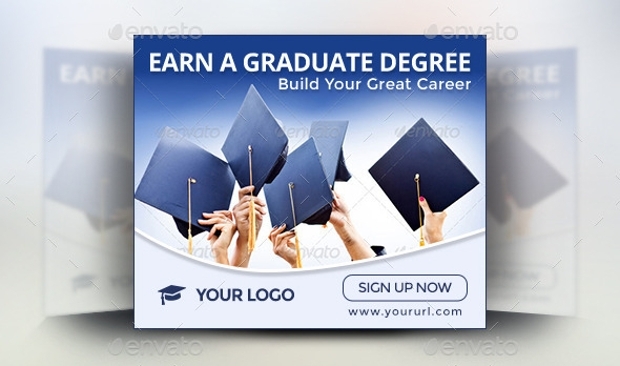 The high quality of these professional education banners can be used for college advertising. 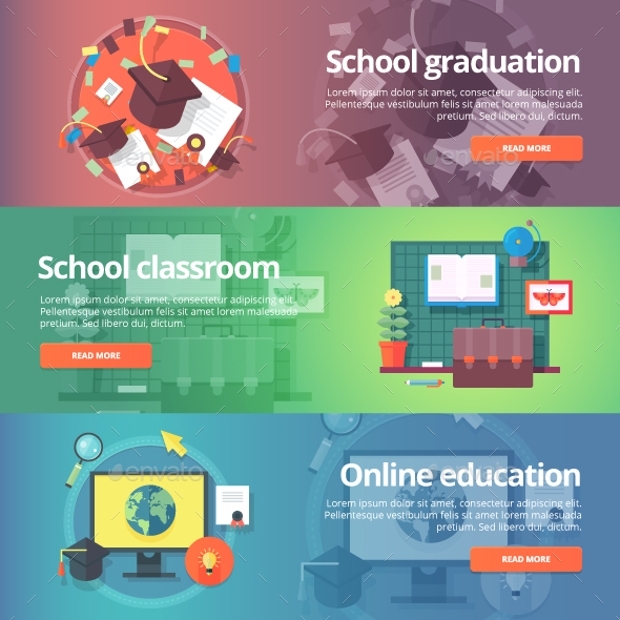 The package consists of three separate editable PSD format files that each has different color schemes. 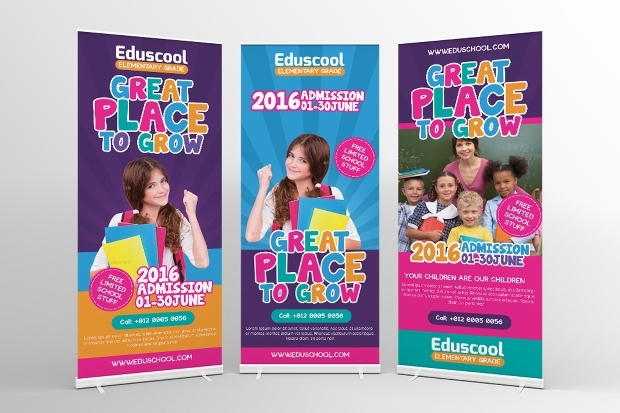 With each banner you can have additional promotions that will help attract more potential students. 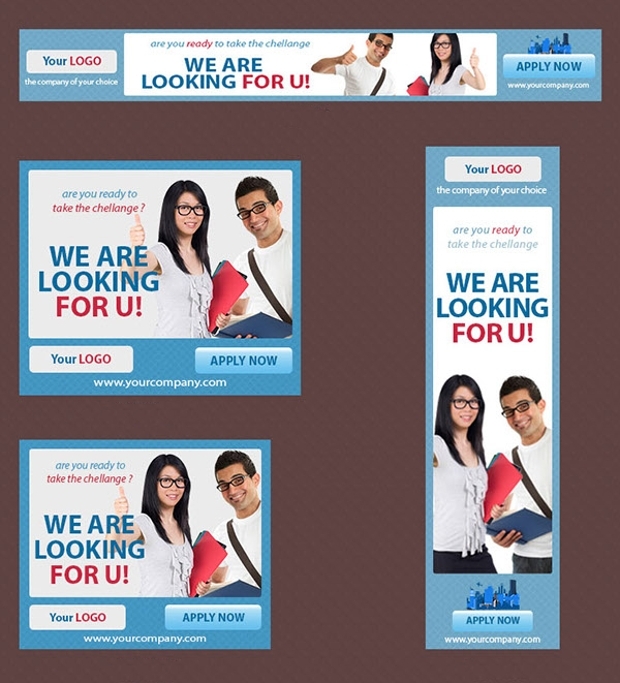 A modern layered banner with a touch of fun design will be the best solution. Elementary school banners have to be both professional and fun. 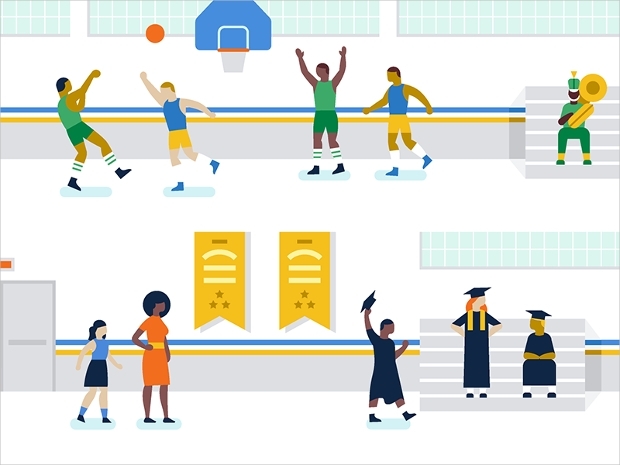 This pack of colorful school banners is ideal for this. You can find it a fully editable PSD format file. 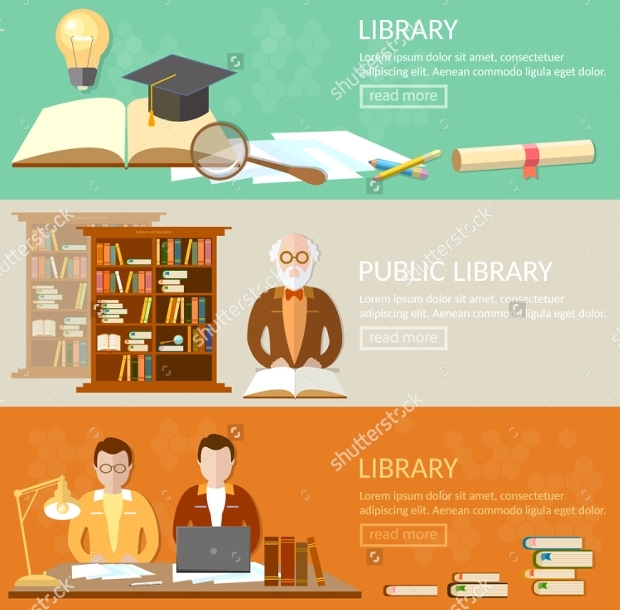 Use content that is related to the subject of the banner. 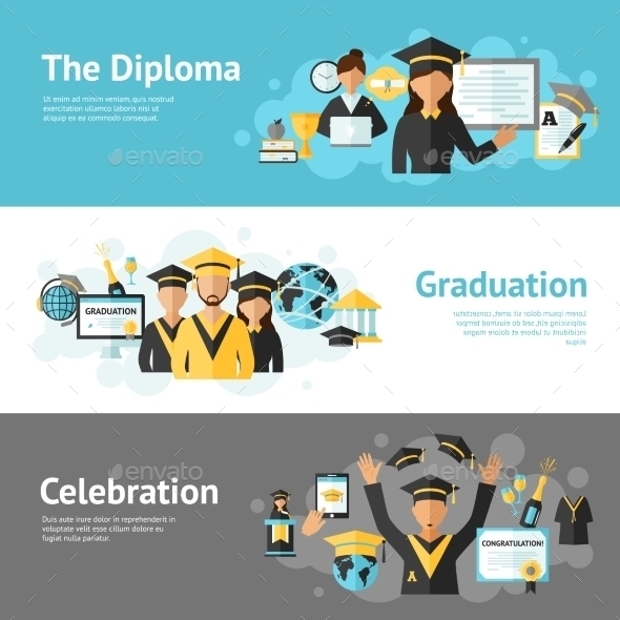 These Educational banners showcase graduation and diplomas designs that refer to the business success. Available in editable EPS files. 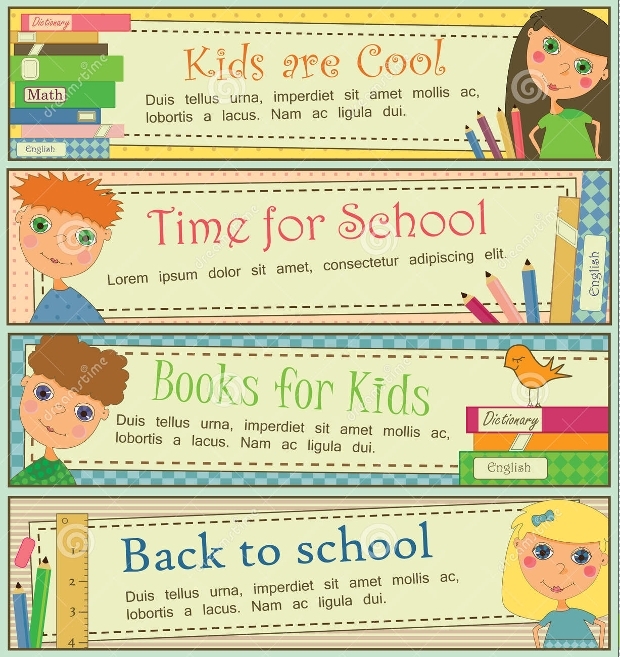 This is a great example of education banners. 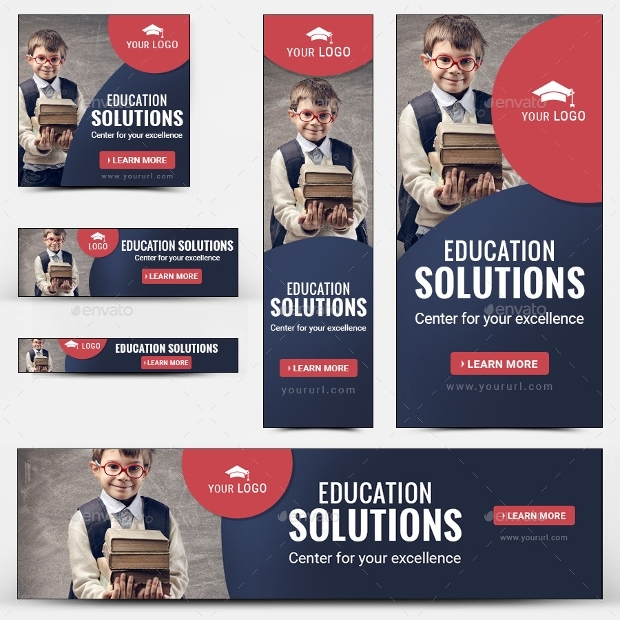 The modern colors and the design of the layout create an interesting banner that will cover your needs of promoting your business. 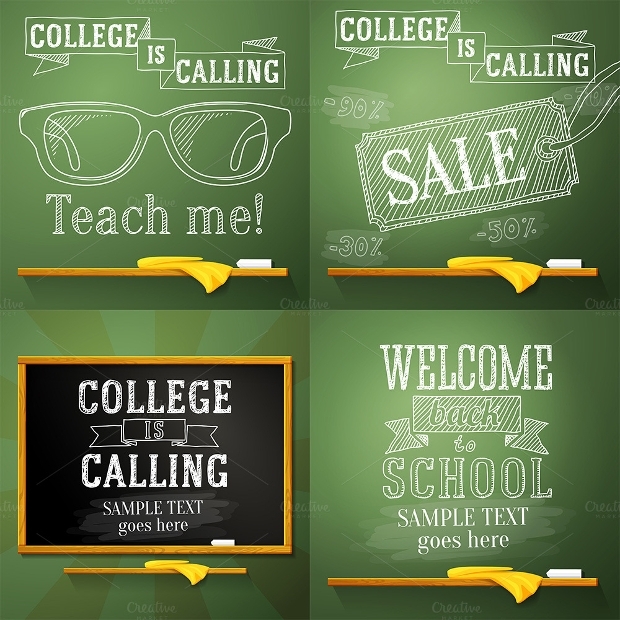 You can plan for an email promotion or for social media one that will gain you popularity and potential students. 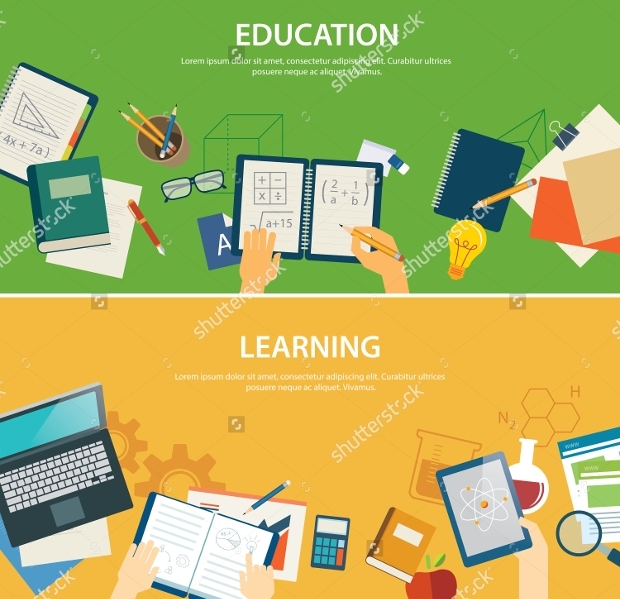 Be aware that you need to have a combination of professional approach with a pleasant content so that the people can relate and feel like a part of your business.